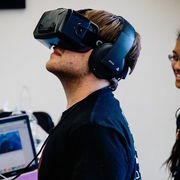 Some things can only be understood through experience, and Virtual Reality is the perfect medium for providing new experiences. 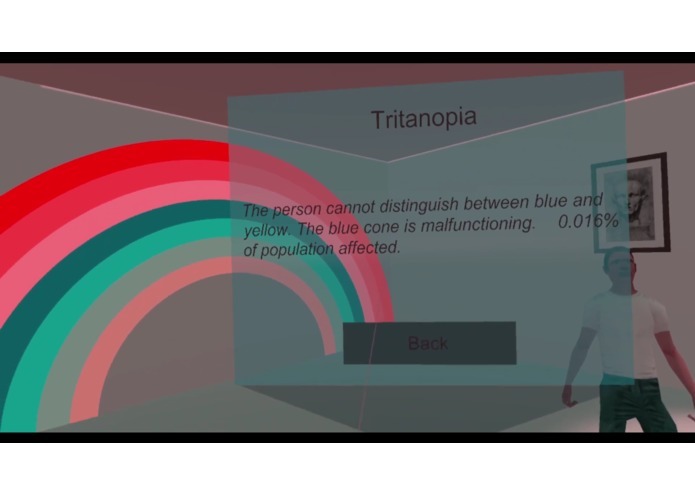 VR allows for complete control over vision, hearing, and perception in a virtual world, allowing our team to effectively alter the senses of immersed users. 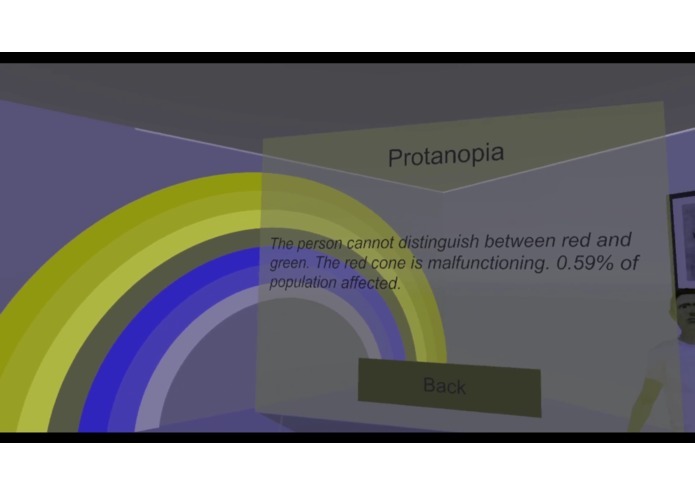 We wanted to manipulate vision and hearing in order to allow players to view life from the perspective of those with various disorders such as colorblindness, prosopagnosia, deafness, and other conditions that are difficult to accurately simulate in the real world. 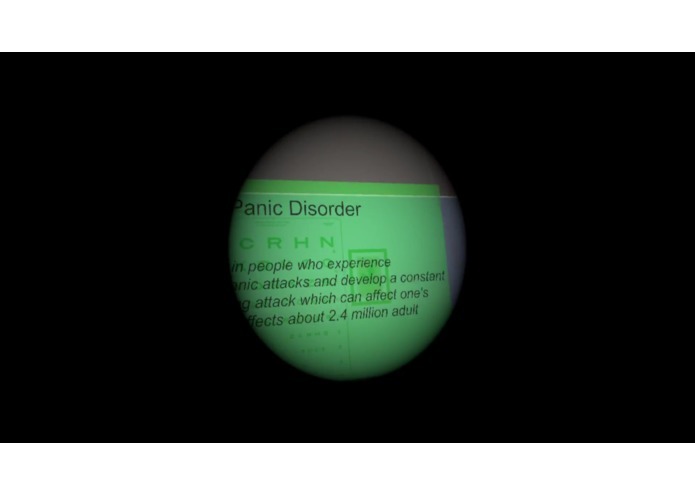 Our goal is to educate and expose users to the various names, effects, and natures of conditions that are difficult to fully comprehend without first-hand experience. 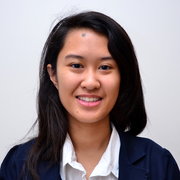 Doing so can allow individuals to empathize with and learn from various different disorders. 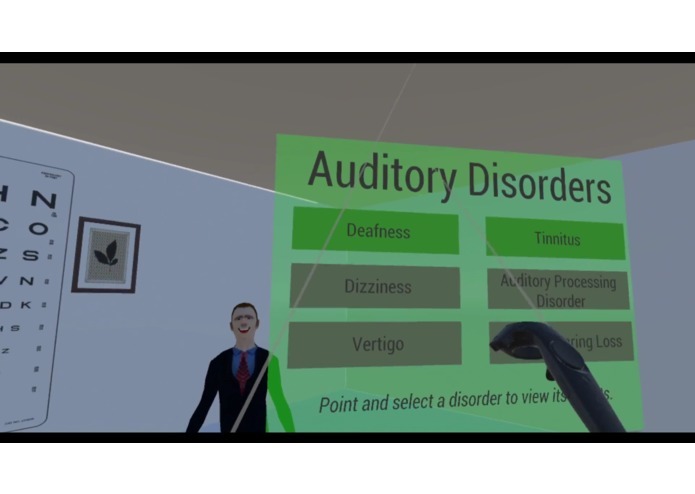 Sensory is an HTC Vive Virtual Reality experience that allows users to experiment with different disorders from Visual, Cognitive, or Auditory disorder categories. 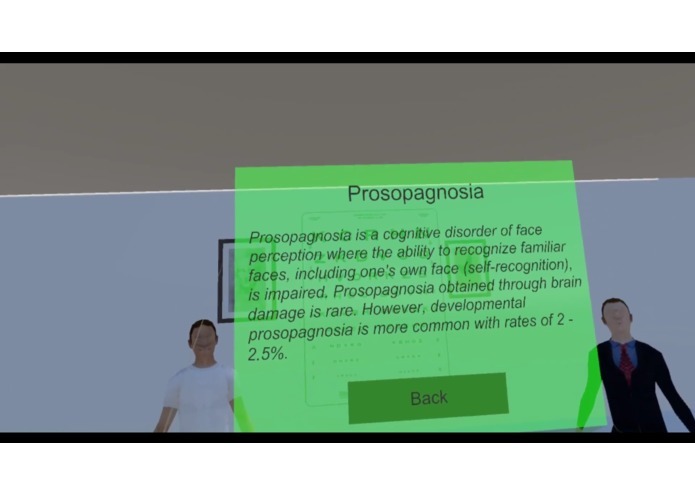 Upon selecting a specific impairment, the user is subjected to what someone with that disorder may experience, and can view more information on the disorder. 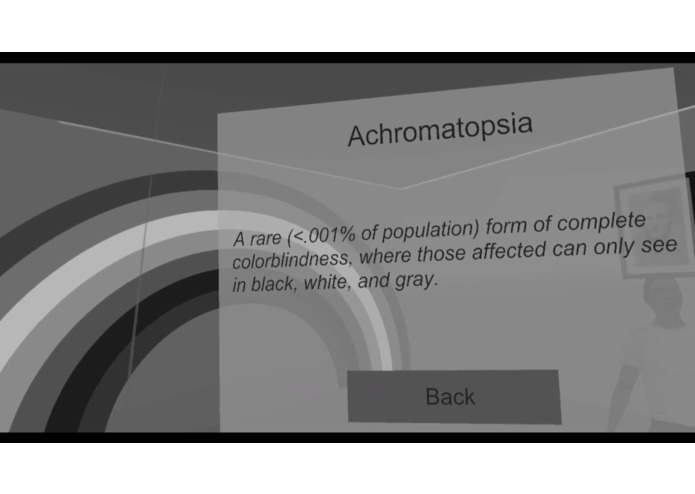 Some examples include achromatopsia, a rare form of complete colorblindness, and prosopagnosia, the inability to recognize faces. 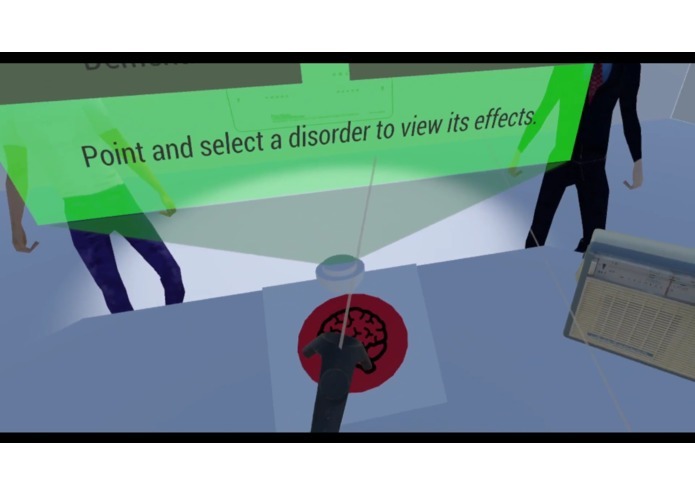 Users can combine these effects, view their surroundings from new perspectives, and educate themselves on how various disorders work. 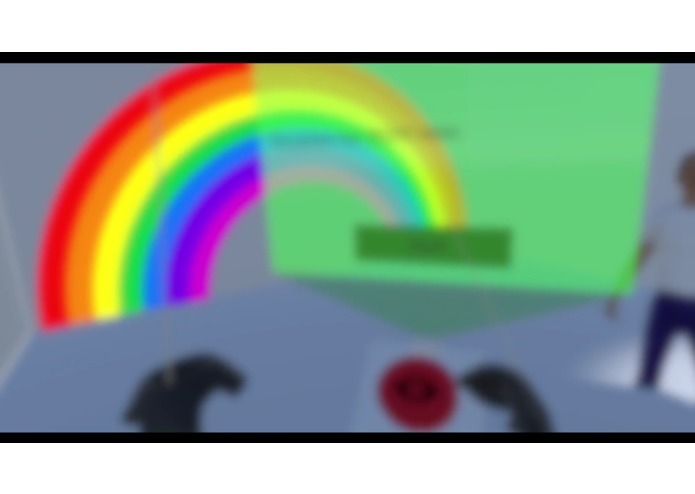 We chose this project because we hadn't experimented much with visual and audio effects in Unity and in VR before. 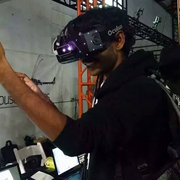 Our team has done tons of VR, but never really dealt with any camera effects or postprocessing. As a result, there are many paths we attempted that ultimately led to failure (and lots of wasted time). 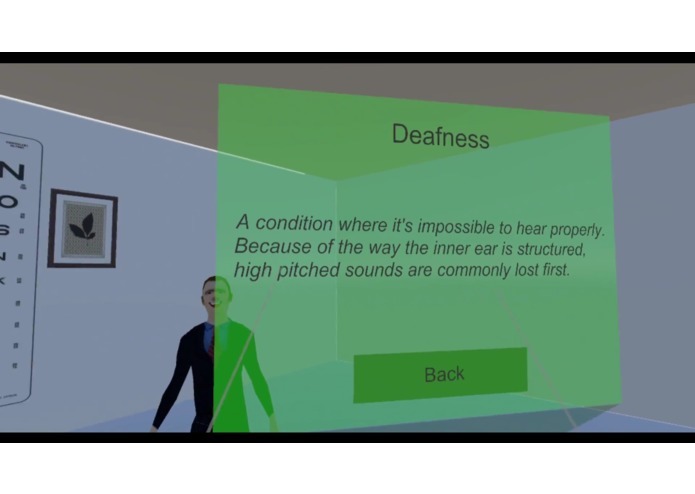 For example, we wanted to make it so that users could only hear out of one ear - but after enough searching, we discovered it's very difficult to do this in Unity, and would've been much easier in a custom engine. As a result, we explored many aspects of Unity we'd never previously encountered in an attempt to change lots of effects. 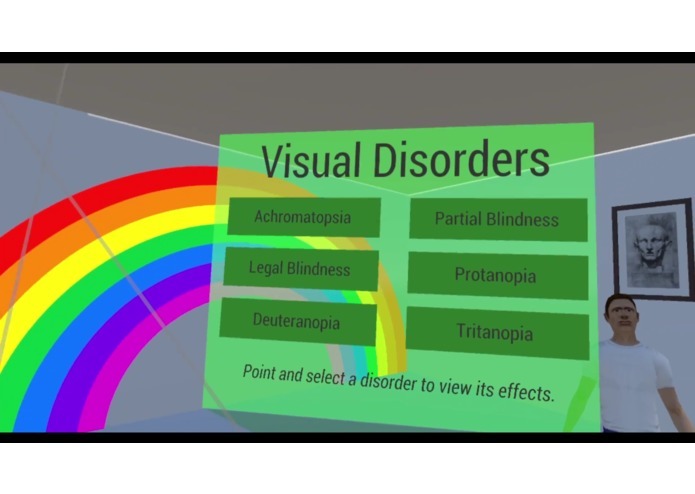 There's still many more disorders we want to implement, and many categories we could potentially add. 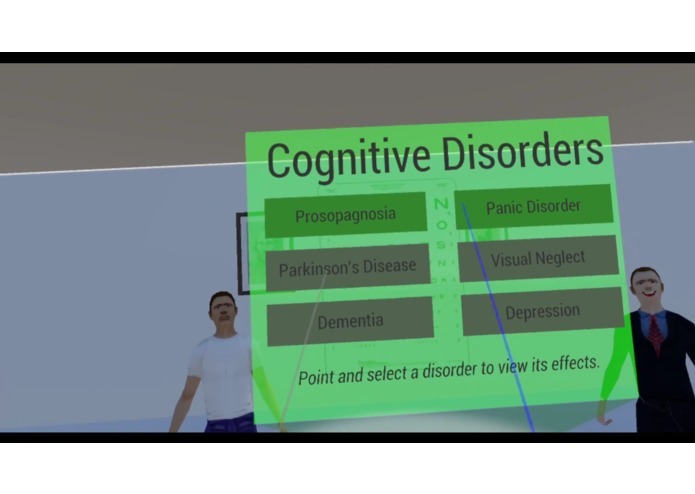 We envision this people a central hub for users, doctors, professionals, or patients to experience different disorders. Right now, it's primarily a tool for experimentation, but in the future it could be used for empathy, awareness, education and health. 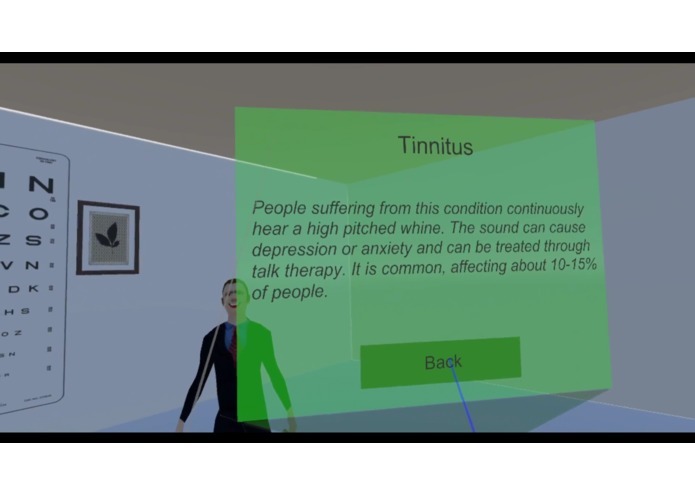 I researched the various disorders and experimented with visual and audio effects to simulate them. I specifically made deafness, tinnitus, and the forms of blindness.